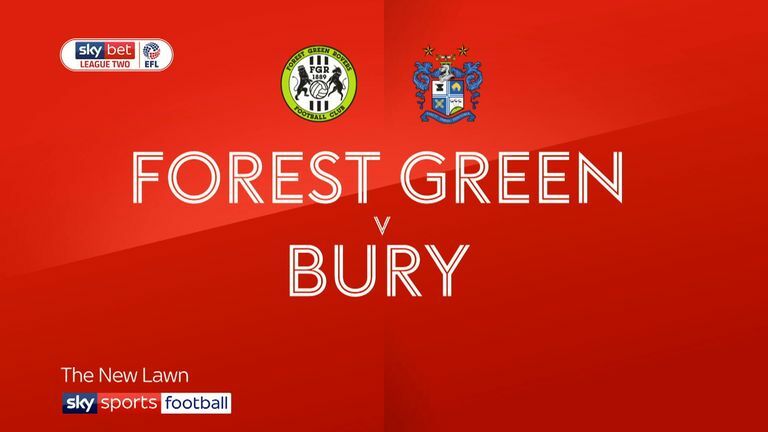 Highlights of the Sky Bet League Two match between Forest Green and Bury. Nicky Maynard produced a moment of brilliance to help title-chasing Bury come from behind to win 2-1 at Forest Green. With just seven minutes left, the former Premier League striker was on hand to show quick feet in the box before arrowing past James Montgomery and make it four wins in a row for the Shakers. 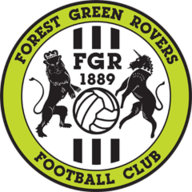 Forest Green served notice of their own promotion intent by rocking second-place Bury thanks to Reece Brown's first-half deflected strike. 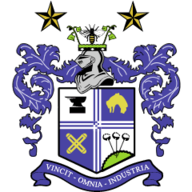 Rovers looked comfortable in the first-half, but pressed the self-destruct button in the 68th minute when they failed to deal with winger Jay O'Shea who comfortably beat Montgomery with a powerful drive to draw Bury level. Rovers started positively when Carl Winchester picked the pocket of the Callum McFadzean inside six minutes, and despite the Bury defender retreating to block, the free ball fell to Christian Doidge but his chip landed on the roof of the net with visiting goalkeeper Joe Murphy well beaten. Rovers deserved their lead in the 28th minute as Brown picked his spot from the edge of the box and watching his low drive deflect in the net. But Bury hit back and dominated the second period with O'Shea slipping through to beat Montgomery with 21 minutes left before Maynard grabbed the win with a sumptuous strike in the 83rd minute.